Cypriot Foreign Minister Ioannis Kasoulides has spoken to Sputnik about the talks on the island's reunification, drilling in the Mediterranean and the country's president's talks with President Vladimir Putin held earlier this week. MOSCOW (Sputnik), Ksenia Shakalova — Cyprus expects the talks on reunification of the island to resume immediately after January presidential elections, Cypriot Foreign Minister Ioannis Kasoulides told Sputnik. "I don’t expect that there should be movements from the Turkish Cypriot side in that regard [Cyprus settlement] because they have declared that they want to wait [until] our [presidential] elections [scheduled for January 28]. They have elections as well, most probably in January [parliamentary election] and we are having elections in the end of January. So, immediately after the elections, I think we will resume the efforts," Kasoulides said. According to the top diplomat, UN Secretary-General Antonio Guterres and Cyprus were still working out the details and the date of appointment of a new special adviser on Cyprus depended on the elections on the island. 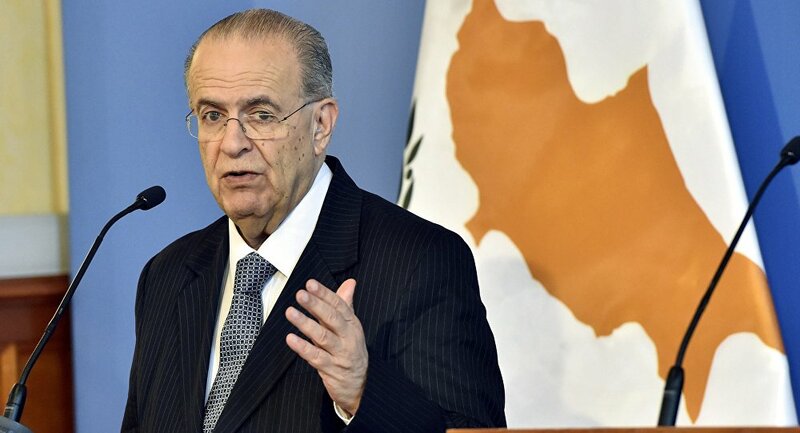 "When we will finish the reflection which is going to be after the election then most probably he [UN Secretary General] will appoint somebody and we will resume the efforts," Kasoulides said. According to the foreign minister, all parties to Cyprus negotiations should follow the example of Nicosia and accept the latest UN six-point settlement plan in its entirety. The minister recalled the fact that UN Secretary-General Antonio Guterres had proposed a plan made up of six items, including the need for new security regime, end to right of intervention, replacement for the 1960 Treaty of the Guarantee and impartial monitoring, at the latest round of settlement talks in Crans-Montana, Switzerland, in July. "So [Cypriot] President [Nicos] Anastasiades, after Crans-Montana in order to prove that he was ready to accept [the plan], he went to see the Secretary General in September and told him that our side is ready to accept the six parameters of his proposals as a package and not a la carte. So if all the other sides, if they are sincere that in Crans-Montana they wanted to agree as well, they have nothing else to do but come and say to the Secretary General the same thing," Kasoulides said. The talks on the reunification of the country, divided between Turkish and Greek Cypriot communities, resumed in 2014 after a two-year pause, but the sides have not been able to reach an agreement so far. Treaty of Guarantee, signed by Cyprus, Greece, Turkey and the United Kingdom, urges all parties to guarantee independence and territorial integrity of Cyprus. In September, leader of the Turkish Cypriot Community Mustafa Akinci said that a new round was unlikely in the run-up to the neighboring community's presidential elections, while Greek Cypriot government spokesman Nicos Christodoulides said that there was no time frame set for the resumption of the talks. The next round of negotiations on the post-Brexit status of Cypriot citizens, living and working at the UK military bases, will be held in November, according to the Cypriot foreign minister. "We had only one round of the negotiations. It seems, that the intentions of what we are going to do, are good… [The next round of negations] will be [held the] next month. All negotiations will be taking place in Brussels," Kasoulides said. "For us, I think the same status, that exists now and existed during the time when the United Kingdom was within the European Union, to be continued with a reciprocal agreement between the treatment of the European nationals in the UK and the British nationals in the EU countries," Kasoulides said, when asked what he considers the most beneficial solution of the situation around the rights of people working at the UK bases. The Cypriot foreign minister continued by calling for the deals on financial settlement as well as the border between Northern Ireland and the Republic of Ireland to be reached between London and Brussels during their Brexit talks. "We, Cypriots, are very much connected with the United Kingdom. We’d like to see a Customs Union or even a participation of the United Kingdom in the single market. Something that will make the preexisting situation as smooth as possible, creating legal certainty for companies to continue their business, as before," Kasoulides outlined. The talks are dedicated to the application of the provisions, stipulated in the Protocol 3 of 2004, clarifying the legal status of the UK military bases in Cyprus after the country’s EU accession, following the United Kingdom's withdrawal from the European Union, Kasoulides explained. The protocol states that the Treaty establishing the European Community will not be applied to the UK bases in Cyprus. Last week, UK Prime Minister Theresa May said that the EU and British authorities were closing on a pact that would guarantee the rights of EU citizens living in the United Kingdom and UK expats in EU countries. The top diplomat also ruled out the possibility of a no-deal scenario of the UK pullout from the European bloc, adding that such a result is not in the parties' interests. Since Cyprus became an independent nation in 1960, there have been two UK Sovereign Base Areas (SBAs) on the country's territory, namely at Akrotiri and Dhekelia. The bases constitute UK sovereign territory under London's jurisdiction. The top diplomat has also commented on a statement made by Turkish Energy Minister Berat Albayra, who confirmed that Ankara was intending to begin hydrocarbon drilling in the Mediterranean this year. "How we are going to react? We will see first of all the sort [of] the violations they are going to do. But we will do one thing that we have not done last year, but we have done this year, we will play it cool. We are not going to play their game," Kasoulides said. "That is what we did during the drillings of Total in the Exclusive Economic Zone of Cyprus in July. We did not pay much notice to them. And, of course, it passed without repercussions," Kasoulides explained. The large natural gas deposit off southern coast of Cyprus has been the source of contention, with Turkey strongly opposed to the exploration efforts approved by Nicosia. In July, Turkey vowed to respond to the exploration operation carried out by France's oil giant Total in the Aphrodite gas field in Cyprus' exclusive economic zone with the permission of Nicosia. According to Kasoulide, Cyprus may consider building an onshore liquefaction station and selling natural gas to any market in the world using tankers if the estimates show that the country's gas field has the required capacities. "The possibility, if the quantities [of gas] are big enough… about building an onshore liquefaction power station on the shore of Cyprus and to sell natural gas through gas tankers to any markets everywhere in the world," Kasoulides said. The minister added that this option might be considered this or next year, as the drilling continues and fuller estimates become available. Kasoulides stressed that Cyprus would act based on the amount of natural gas discovered. "Regarding carriers in transportation area we do not exclude any company. We are open through tenders and may the best win. We will be happy to have Russian companies," Kasoulides said. According to the minister, another option would be building a pipeline from Cyprus to liquefaction plants in Egypt, either in the ports of Damietta or Idku. Yet another option is an Eastern Mediterranean gas pipeline project, which would connect Israeli and Cypriot gas field to the European Union through Greece. In June, the leaders of Greece, Israel and Cyprus agreed to speed up the development efforts. Cypriot Minister of Transport, Communications and Works Marios Demetriades said in early October that Cyprus has the potential to become an important energy center in the Mediterranean Sea because of already emerging cooperation in offshore oil and gas exploration and shipping industry. Cyprus has already given oil and gas exploration licenses for several offshore blocks to French Total, Italian Eni and US ExxonMobil. Commenting on Cypriot President Nicos Anastasiades October 24 talks with Russian President Vladimir Putin, the foreign minister has said that five out of seven planned agreements had been signed. "Finally, there were five agreements [signed] because the one about justice has not been signed as the attorney general was not there and the other [agreement] for technical reasons on evacuation and other measures has been postponed. But the other five have been signed," Kasoulides said. The foreign minister specified that the documents that were signed included "the common action program for 2018-2020, an agreement on merchant shipping, an agreement on international road transport, an agreement on communication and IT technology and declaration between the two countries for cooperation in the field of modernizing the economy." Kasoulides added that the two presidents discussed "the whole spectrum of relations between Cyprus and Russia," and this allowed the two sides to have a better understanding of many issues and to be able to further improve the "traditionally and historically good" relationship. Stella Kyriakides, a Cypriot recently elected president of the Parliamentary Assembly of the Council of Europe (PACE), may work on the rights of the Russian delegation in the Assembly and is also likely to focus on the issue of ethics, according to the country's foreign minister. "I know from what she has declared that she is going to work on the issue of ethics among members of the Assembly, in having open books on behalf of the members, some of them have been accused of bribes… So she is going to work first of all on this and all other issues confronted by the Assembly. Most probably the credentials of the Russian members," Kasoulides said. The minister added that Cyprus was proud of Kyriakides for being elected to this office on October 10. 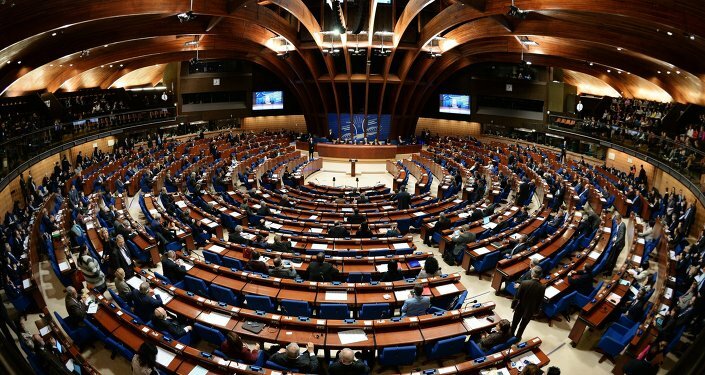 The Parliamentary Assembly of the Council of Europe (PACE) stripped the Russian delegation of its voting rights and ability to participate in the work of its three key bodies in 2014 amid the crisis in Ukraine and Crimea’s reunification with Russia. The Russian delegation left PACE in 2015 and did not renew its credentials ahead of the assembly’s 2016 and 2017 winter sessions.